This design is for the beginning boat builder. Some experience with tools is needed. 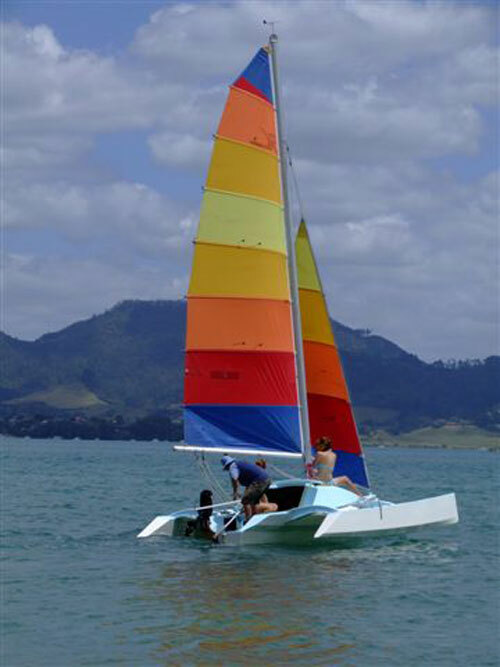 The Scarab 16 (16 foot long) is a small folding trimaran for two adults and 2 small children. It has an enclosed cabin with sleeping accommodation for 2 (double berth) and space for basic food preparation. A porta-potti can be stowed under the berth and there is room for stowage of clothing, food etc. under the cockpit floor accessible from inside the cabin. 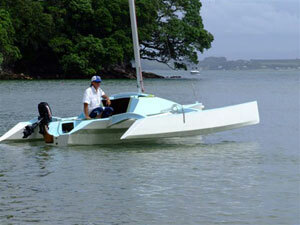 The Scarab 16 has a pivoting centreboard in each float which provides a bit more space in the cabin. 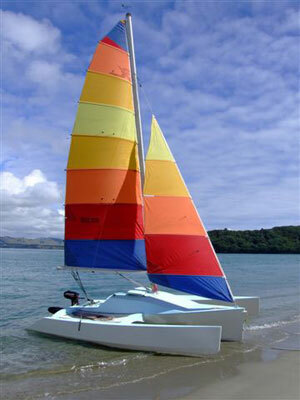 The Scarab 16 can be built from marine plywood and epoxy resin or foam sandwich construction. 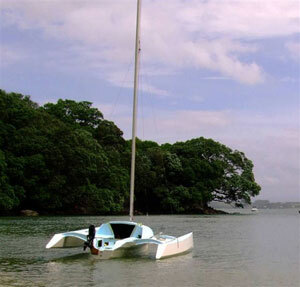 This boat can be built using 6mm marine plywood - stitch and tape or fibreglass foam sandwich panels. There are two berths and a space for cooking so it is a good boat for weekend sailors or overnighting for two. It weighs 180 Kg approx unloaded. 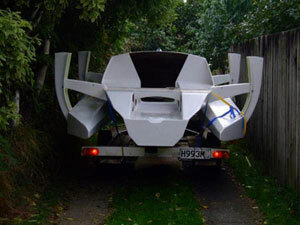 The economic and simple folding system makes it easy to launch and fits easily on a trailer. 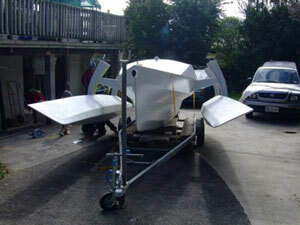 Plans: the full plan set is required if the you want to build this boat. It contains all the information and dimensions required. The plans are presented in PDF format. These can be printed on your home printer on A4 size paper or sent to a photo copier to enlarge to A3 size. Plans consist of 52 drawings including material list in PDF format emailed within 24 hours.